Hello, PJ! Hello, Romance Dishers! It’s quite a while since I’ve been a regular fixture at the Romance Dish, and I’m delighted to be back here to do a monthly piece on my adventures in Europe between now and the end of May. I arrived in the U.K. on Sunday 4th February, so I’ve been here just a bit over 3 weeks now. The trip started with a few adventures with immigration. The girl interviewing me found it highly suspicious that I use a pen name and also couldn’t recognize me from my website photo. It’s a long flight from Australia and I certainly wasn’t looking too spruce! When she said, “Is that YOU???! !”, I cracked up and that warmed things up considerably. So after some ado, they allowed me into the country! I was staying just around the corner from the Ritz Hotel in ritzy Mayfair (couldn’t resist the choice of adjective!). Even better, Lord Garson’s house was just around the corner too – well, at least in my fictional world. I loved walking past Half Moon Street every day! For various reasons, I didn’t cover nearly the amount of ground I’d hoped to in my time in London. One was that I was still working on Lord Garson’s Bride. The second was that the U.K. is suffering its worst flu season in years and of course, someone sneezed on me in the tube. So that was me down for the count for quite a bit of the beginning of my trip. You’ve got to take the good with the bad when you travel. But it’s frustrating to be laid low when there’s so much great stuff out there you want to see and do. There has been a lot of good, I’m pleased to say. I caught up with some wonderful local writers, Fiona Harper, Heidi Rice, Nicola Cornick, and Kate Hardy, as well as a number of other friends. And I had a couple of gorgeous days out. I hope you enjoy the pictures. I’ll finish up with a couple of photos of St George’s in Hanover Square. If any of you are Regency romance mavens, this name will be familiar as it’s where all the fashionable society weddings took place. A couple of my characters have walked up this particular aisle, most recently Amy and Lord Pascal from Pursuing Lord Pascal. I thought you might like seeing what the actual building looks like. Society weddings used to lure huge crowds of onlookers – something that blew my mind was how cramped the streets are there. You wonder how a bride got through the crowds if there were a lot of people! Tune in next month when I’ll be talking about a month in France! Thanks so much for taking us along on your travels, Anna. I feel as if I'm right there with you and excited to see what next month brings! 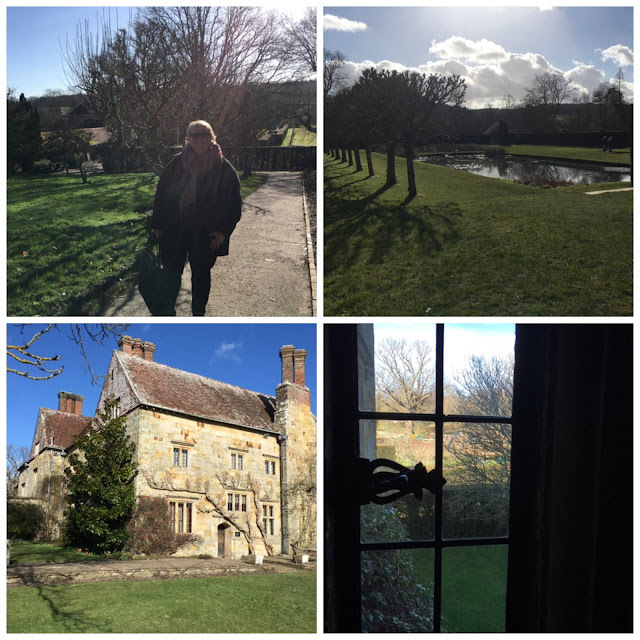 Readers, have you been to England? What was your favorite place to visit there? If you haven't traveled there yet, what would you most like to see if you could? Do you have any funny travel stories to share? 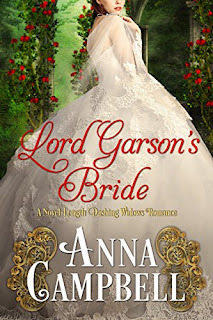 One randomly chosen person who leaves a comment before 11:00 PM (Eastern Time), March 2, will receive a Kindle copy of Anna's new book, Lord Garson's Bride. For more photos and travel tidbits, check out Anna's Facebook page. For more information about her books, be sure to visit her website. Hi, Anna! I have enjoyed the pictures you have posted of your trip. I love England and would be thrilled to go for a LONG tour where I could visit lots of places there. When we lived in Paris years ago, we got to London several times and also to Bristol. These coincided with meetings my husband had. I remember Bristol as having a fabulous zoo. My sons were little at the time and I was delighted to find this great entertainment. The boys and I had so much fun while Dad was in his meeting. I want to return one day and Cornwall is definitely at the top of my list to visit. One funny travel story in France was a trip our family took to the gorgeous city of Eze. Sitting outside under a tree and enjoying the views, we were eating our lunch when a cat climbed up in the tree and peed on us! While it was rather unpleasant, we couldn't help but laugh and the proprietor of the restaurant graciously seated us at another table and replaced our meals. I love kitties! So happy you could take your trip. Seeing new places makes us appreciate how wonderful this world is. Connie, I laughed at the cat story! I think that's the universe telling us not to get too comfortable! So glad you're enjoying the travel updates. I love sharing them with all my friends. I grew up in London and like the usual Londoner, I didn't go to too many of the tourist sites that you take for granted when you live there. Now that I no longer live there, whenever I go home, I'm a tourist and enjoy seeing the sights of London that I missed when I lived there and touring the countryside. When my daughter and I went home last year for a visit, we'd booked a coach tour of England and Scotland. I'd never been on a coach tour before and didn't realize that each person had to get up and introduce themselves and tell a bit about us. You can imagine peoples faces when I said that I was from London. They looked at me like "what the hell is she doing on a UK tour of England and Scotland". My daughter and I were the only Brits on the tour, everybody else was either from Australia, Singapore, Thailand, Philippines, Madagascar, South Africa, India, China and a couple of other countries. So, a huge thanks to Anna for sharing her wonderful pics of places that I never got to go to and probably never will. I look forward to seeing all the future pics from Anna's trip. I really wish that Lord Garson's Bride was out in print. Diane, I laughed at your travel story. I bet they were surprised! So glad you're enjoying the pictures. I looked into getting the Dashing Widows into print but it all got a bit complicated so I put it back into the too hard basket. Never say never! Hi Anna, I do send all the links to your e-books to my sister as she loves her Kindle. I can see that you're having a fabulous time, and I really envy you. I look forward to future posts on your trip. Keeping fingers crossed about the Dashing Widows being put into print. Diane, I think I'd say some time rather than never. But I'm not the most technical person and I was finding some of the questions a bit confusing and I had something I needed to write so that was as far as I got. So don't give up hope! I went to London many, many years ago with my sister. I was fascinated by the Tower of London. We also went to Belgium. My sister told me to ask someone where the train station was. So, in my high school French I asked "Ou est la guerre?" I received puzzled looks as a response. My much more fluent sister made me repeat to her what I asked. "You idiot, you are asking where the war is!" In my defense "Ou est la gare?" is where is the the train station! Oh, that's so funny, Amy! The words ARE very similar! The Tower of London is wonderful to visit, isn't it? So packed full of history! I've never been to England, but as an armchair traveler, I am loving all your photos and posts, Anna. I read Nocola Cornick's account of your day together over at Word Wenches last week and thoroughly enjoyed it as well. I'm looking forward to Lord Garson's Bride. Janga, I've just been over to read that. I didn't know she'd written that wonderful coverage of our visit. We had the most wonderful day out - seeing her is always a real highlight of my visits to the UK. I'm trying to talk her into coming down to see me in Australia! So glad you're looking forward to Lord Garson - he's out in Australia! A month long vacation in 2020 to Great Britain is in the planning stages for me and my husband. I'm a anglophile book lover and he's a golfer. 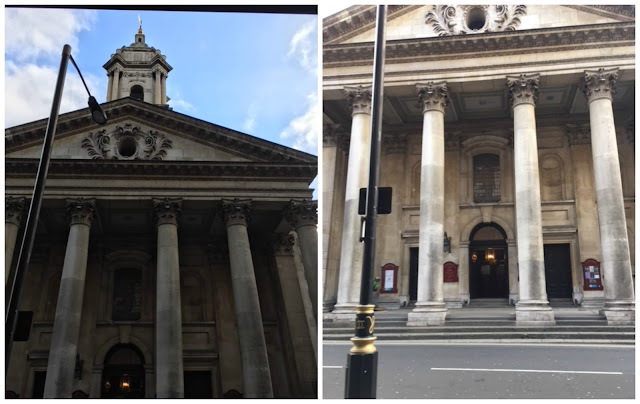 We are planning nonstop sightseeing, including a stop at St Andrew's for The Open, locations of the British mystery shows we love watching, cemetaries, Vauxhall, Mayfair, churches, archetecture walks, and the list goes on and on... I doubt a month will be long enough! Amy, what a wonderful trip you have ahead of you. I agree - a month won't be long enough! I always get a thrill when I see somewhere that's in a favorite show. Last year, I stayed in a hotel just down the street from the place they use as 21B Baker Street in the new series of Sherlock with Benedict Cumberbatch. I love reading about your adventures. Immigration, you should carry books with your picture in the back to give away. Ha, Zina, now there's an idea. I was telling the friends I was staying with about my adventures with immigration and they cracked up! looking forward to your new book. . Thanks so much. It's rolling out as we speak - it's already out in Australia and New Zealand. oh no, work or sick during vacation is never fun much less both, but glad to hear you still were able enjoy the trip. have never been but wouldn't mind going. see a bit of london and countryside, perhaps a nice old manor house & it's lovely gardens & lawn where I can imagine myself attending a house party (preferably as a guest and not as a servant of course) ;) congrats on the newest release. Thanks so much for the congrats, Gamistress! Always lovely to have a new release out. I love the sense of history crowding around you that you get here. We don't get it in Australia where white settlement only goes back a bit over 200 years. And I so agree about being a guest and not a servant! Ha, PJ, I still think you'd be gorgeous even with bedhead. You take a lovely photo! Thanks so much for inviting me to share my travels with you here on the Dish. I'm looking forward to telling you all about my adventures - hopefully I've come to the end of being sick! I've been to London twice, but it has been a number of years and it was before I started reading Historical Romances. I would LOVE to go back now and see places through this new lense! Happy travels! Katie, it gives a lovely focus to visiting London - it's such a huge, multifaceted city, it's nice to have that lens to concentrate your attention. Hope you get back to London soon! Anna, thank you for sharing your trip experience & pictures. I have always wanted to visit England. So much history. Maybe someday for sure. Got my eye out for Lord Garson. Can't wait to read it. Carol, lovely to see you here. Hope you enjoy Garson - it was lovely writing a full-length story after all those novellas. Nice to spread my wings a little. Anna, thanks for sharing. What a terrific trip this is - apart from the head cold! Next time I'm in the UK I might try to get to a couple of these places. Oh, hope you do, Annie. I know you've read and loved a lot of historical romance and it's wonderful seeing it come alive before your eyes. Hi Anna, love checking out places I will never get to go too. Glad are having a great trip and I hope you get to enjoy more snow. Looking forward to your new book. Thanks so much, Ros. We're suffering a weather even in the UK right now called The Beast from the East - cold weather direct from Siberia! Brrrr! Unfortunately for me, I have never had the joy of visiting England. I loved your pictures and all the stories. The Arundel Tomb is absolutely one of the most romantic things I have ever seen. I had to travel on business shortly after 9/11. In fact - a group of us had to travel several times within a short period of time. There were not a lot of people traveling. TSA had started their wonderful interaction with people. I was a blond woman in her fifties. I did not think I looked like a threat. But, every time we went through a check point, I was taken aside and they used the wand and patted me down. By the time we got back to our home base, I was feeling as though I should just forget getting on a plane ever. 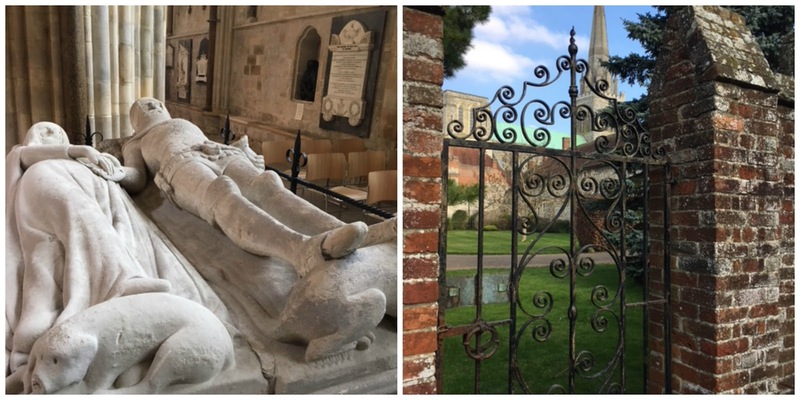 Oh, Annette, aren't that Arundel Tomb sculpture and poem just breathtaking? So glad you felt about it, the way I did. Oh, how scary about the 911 stuff. I'm a fairly friendly person but there's no cracking a smile with these guys. I remember being quite scared the first time I went through US immigration once all the very stringent rules came in. And yeah, I'm a blonde woman in her 50s too! I wen to London 10 yrs ago so a lot has changed since, I am sure. :) But thanks for the all the photos... Lovely. :) I love London... and not just because of the historical romance components.. I love the history. I really like going to London Tower. The history is sad but fascinating. May, so much of the history is sad, isn't it? But I guess happy people in general don't make headlines. I lived in London in the mid-1980s for two years and I have to say I'm surprised at how familiar it still is every time I go back. Obviously, it's much busier now but it's still essentially itself. Thank you so much for a wonderful post. If health issues can be kept at bay, we hope to be in England, Scotland, and Ireland some time next year. I haven't yet put my mind to planning, so have no solid plans yet, just ideas. Walking the streets and soaking up the feel of the history of the area is always a start. The chapels, cathedrals, parks, manor houses, castles, the Edinburgh tattoo, Hadrian's Wall, hikes through the mountains, the Cornwall Coast, rose gardens around Irish cottages on the coast, tea many days over, Irish breakfasts, haggis, and so much more - I can't wait. I want to see it all. My husband would like to see the crown jewels and Tower of London first. With all the traveling we have done, there have been many humorous incidents, especially when the children were young. When our daughters sere about 2 and 3, we were in Cape Cod. We stopped at a farm center with a large plastic horse (stallion) out front. The girls walked under it, pointed up, and asked "Daddy, what is that for?" He stood there umming and ahing and couldn't get unflustered enough to answer, over thinking it. I looked over and said "It's where he goes to the bathroom." Satisfied with an answer, they were off to look at the fruits and vegetables. Two little older ladies standing nearby had a good laugh over it. Keep it simple usually is best. Oh, Patricia, your story cracked me up! Your poor husband - as you say, always best not to overcomplicate things! Oh, your trip sounds lovely! Sounds like you're going to see some wonderful things when you travel. I'm off to France next week - haven't been there since 1985 so I'm very much looking forward to my visit. Paris, here I come! Have a great time in France. I will have to get ideas if we ever get to visit there. I am busy planning a trip from Tennessee cross country to the West Coast, up through Canada to Alaska, then back through Canada to cross back into the US just south of Montreal, Quebec. I am originally from that area of New York and will get to visit friends and family. Patricia, that sounds like an absolutely spectacular trip. I'd love to go to Alaska one day. I was lucky enough to have a month at the Banff Centre for the Arts in Canada in 2016 and the scenery was absolutely breathtaking. Make sure that's on your itinerary! How lovely, Anna! We have been to London, but decades ago, and would love to go back with our kids! I think we need to see all the usual touristy locations, including the Harry Potter world :) As for funny travel stories, somehow they aren't all the funny when they're happening, like when we flew to Korea for a family wedding, and our youngest was sobbing and terrorizing our poor kind Korean-speaking neighbor for far too much of the flight over! I'm sure you can imagine the relief when he finally fell asleep, LOL!! I've never been to England, so thank you for the pictures. Amazing how some pictures look like you stepped back in time. I love that timeless quality of a lot of what you see in the UK. It really is easy to picture Regency people going in and out of the buildings, Kim. Can't wait to read Lord Garson's Bride! Fedora, thanks so much for swinging by - twice! Definitely time for another trip to London, I think - preferably without the kicking DS! I'm sure he's a much better traveller now. Hope you enjoy LG! Hi Anna, I have never been to London but I have been wanting to go forever. The trip would include manors and castles. Then off to Ireland and Scotland. Pamela, I hope you get there soon! Because Australia is such a new country, I find myself absolutely enchanted with all the history every time I visit. I've never been to London or England at all, I think I would love to go to Cornwall it's the site where Poldark it's supposed to be from. The countryside is gorgeous there from what I see on the show. I also would love to go to some of the places that you had mentioned and Stonehenge I believe that's in England. From there I would love to go to Ireland and Scotland I've been to France. My funny traveling story was when I was in Paris. When I went to Paris it was in the 80s. At that time disco dancing was popular so a bunch of us went to a club and the Latin quarter we were living dangerously LOL a gentle man who was in a tuxedo coat covered in sparkles and he had a handlebar mustache waxed upward came in with a bowler hat. My partners in crime thought they were going to embarrass me and dared me to dance with the man offering me $100 at that time I can't remember how much it was im francs to dance with this man. They thought I would chicken out I'm like I'm going to take these suckers money I went up and dance with the man he was quite peculiar to be honest looking at him and trying to keep a straight face was really hard. I don't think the girls ever dared anybody else to do anything because I think they were embarrassed to be with me for I was dancing with this guy. When I look back now this man could have been a serial killer, but I was raised to be kind to all people just because he dress strangely and look different didn't mean he didn't have any feelings. I think I made the gentlemen's night and bringing a smile to anybody's faces worth it. Thank you Anna for sharing all those beautiful pictures and making me a little bit jealous that I'm not there with you enjoying those beautiful sights, I need you for a tour guide. Enjoy the rest of your trip and I'm looking forward to the rest of your pictures. And if I have any typos it's because I'm using voice to text on my phone. So please excuse them. Teresa, I loved your story about dancing with that eccentric gentleman! Good on you. And you got paid for it as well. Double whammy. I hope you get to England one day. As you listed, there's lots of wonderful things to see here. I'm off to Paris next week which makes me very excited - I'll keep an eye out for blokes with handlebar moustaches and bowler hats! I hope you get there one day, Denise!